Juvéderm® ULTRA 3 is an injectable implant used for filling mid and/or deep depressions of the skin via mid and/or deep dermis injection, as well as for lip definition and enhancement. Juvéderm® ULTRA 3 is a sterile pyrogen-free physiological solution of cross-linked hyaluronic acid which is not of animal origin. 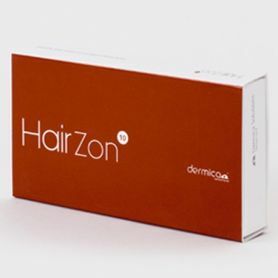 A single flexible cohesive formulation, for a controlled and precise, for a homogeneous distribution in the dermis injection. Advanced 3D technology matrix for greater durability (up to 1 year) and optimal capacity volumatrice. One syringe contains 1.0mL of Juvéderm® ULTRA 3. Juvéderm® ULTRA 3 syringes, 4 single-use 27G1/2” sterile needles to be used only for injecting Juvéderm® ULTRA 3, an instruction leaflet and a set of labels in order to ensure traceability. Treats moderate depression to skin deep. Ourlement and increase lip volume.